D: Menelik Shabazz, GB 2011, HD File, 96 min, OV engl. 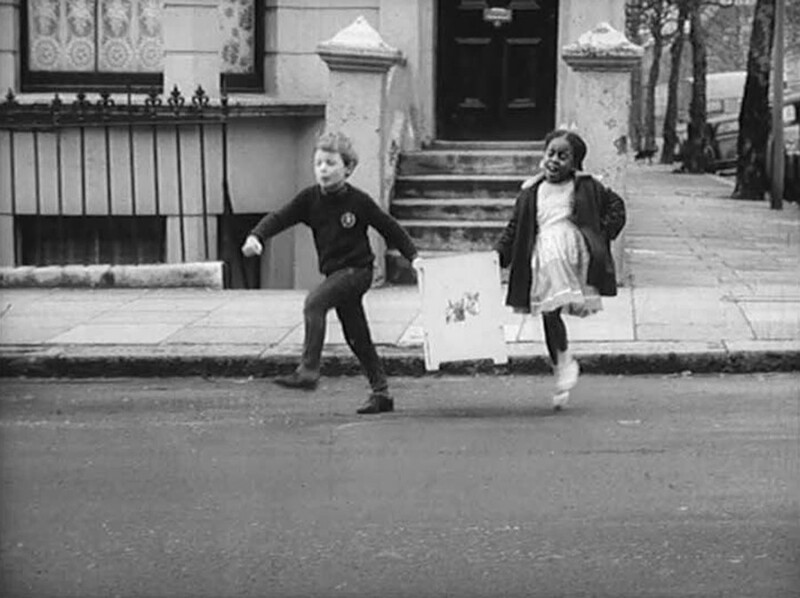 | D: Lionel Ngakane, GB 1966, 35 mm, b/w, 29 min, OV engl. D: Menelik Shabazz, GB 2011, HD File, 96 min, OV engl. The lyrics are mostly about love, and the dancing is done closely intertwined: Lover’s rock is a sensual reggae style, marked by the music of London’s Caribbean immigrants. The film, composed from interviews, archival images, and fictional scenes, emanates both emotions and political power: Above all the music genre gives Black British women an audible voice. D: Lionel Ngakane, GB 1966, 35mm, b/w, 29 min, OV engl. A boy and a girl go hand in hand investigating their neighborhood. Their different skin colors play no role for them, but they do for the inhabitants of their area of London. A film ignited by the Race Riots of 1958.